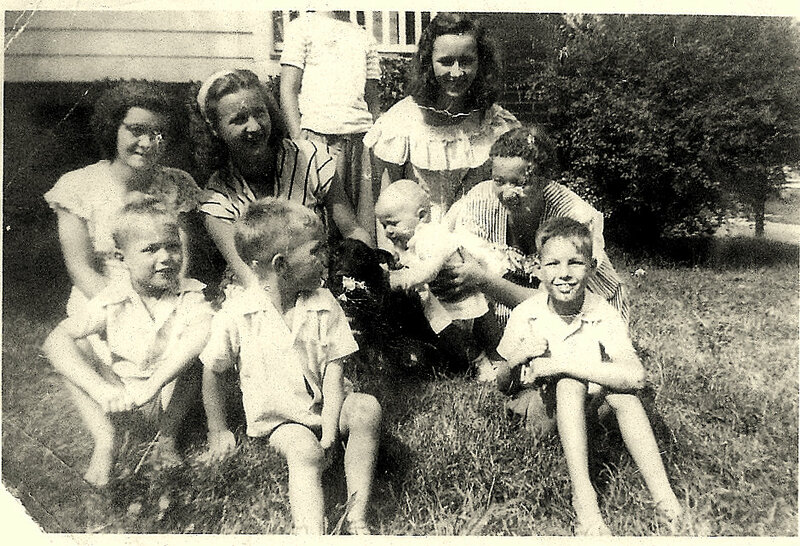 (Back, l-r) Shirley (Baker) Gay, Majorie (Livesay) Singleton, Evelyn (Baker) Roberts, (Front, l-r) the Fain twins(first names unknown), Martha Jo (Livesay) Wallen, Sopie (Baker) Livesay, Edsel Fain. The Fain twins are Mickuel Fain and Manuel Fain. The boy to the right side looks like Donald Fain my oldest brother. If I’m in the photo, I would be the baby – but it does not look like me.